Ted's professional training began in Chicago with Mr. Finis Henderson II, Master Tap Dancer and former manager of Sammy Davis Jr. Mr. Henderson encouraged Ted to pursue a professional career in the performing arts, which began at The Victory Gardens Theater in Chicago. Mr. Levy made his Broadway debut in the smash hit “Black & Blue”. 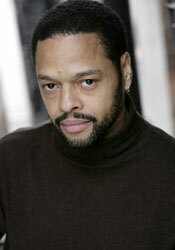 He collaborated with George C. Wolfe and Gregory Hines on the Choreography of “Jelly's Last Jam”, for which he received a TONY NOMINATION, DRAMA DESK NOMINATION and the 1993 OUTER CRITICS CIRCLE AWARD. Ted was awarded an EMMY AWARD for his television debut performance in the PBS Special “Precious Memories”, and made his film debut in Spike Lee's “Malcolm X”. His production of “Ted Levy and Friends”, directed by Gregory Hines, celebrated Ted as one of America's premier Tap Dance Artists.